Facebook is the most popular and most used social networking site all over the world.According to a analytical report of 2012, It has more than one million active users.Users can make profile’s to interact with their friends,families.They can create facebook business pages, to connect with consumers..Facebook allows us to send text messages,pictures, and much more to our family friends, and relatives. 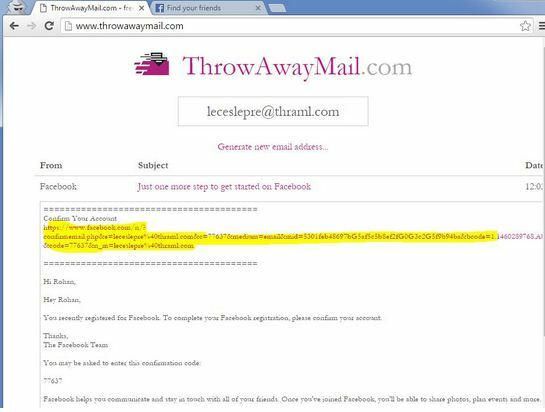 Open Facebook Home page (In a New tab), Fill Sign Up Form, in E-mail Address Paste that copied E-mail Address. Click Sign Up. 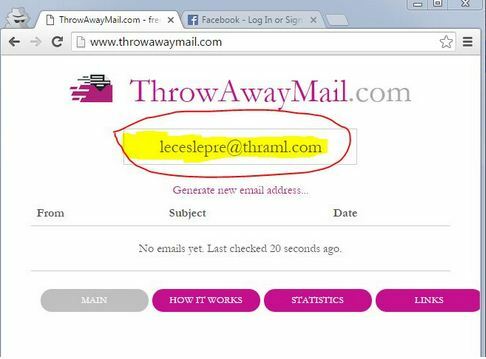 Switch to Throawaymail.com Tab & You will see a Mail From Facebook,as shown in below image. Just click on to it & Confirm Your Account. That’s all, You have successfully learnt How to create Facebook account without mobile number and email or create facebook account without phone number & email. 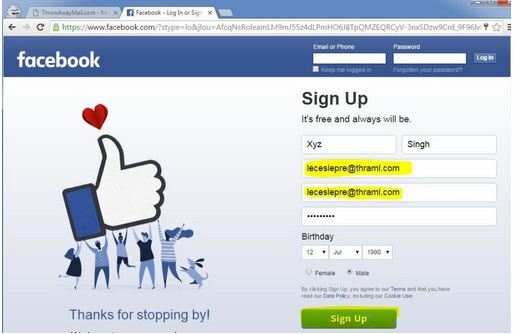 Note down that E-mail address to sign in to your Facebook account in future. Incase, if you have any type of doubt or queries related to this article. Please Leave your valuable comments below and Stay tuned for latest tech news, tips and tricks etc.